Creative Commons and (©urve)music™ (the ™ is for 'Talent Management') are pleased to offer the audio source files from several tracks from Zone's 'MADRUGADA' and Tamy's 'Sou Mais Bossa' albums online under a Creative Commons Attribution-NonCommercial license, so that producers worldwide can use the sounds in remixes and new compositions. In order to use these files you need an 'unzip' utility (for Windows we suggest the fine and free 7-zip) and the FLAC decoder. You can download the a cappellas and pre-cut loops here. 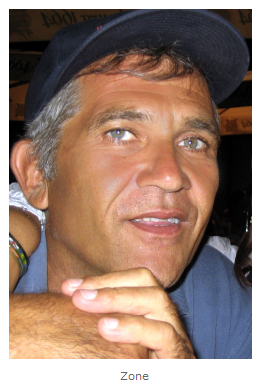 Right-click (Mac: control-click) on the buttons below and select 'Save Target As..'. In addition to pre-cut loops you can cut your own samples from a selection out of the original studio tracks, including the a cappellas. Tamy's music is Bossa Nova with a 21st Century twist. Hailing from Vitoria, Brazil, the singer/songwriter mixes MPB (Musica Popular Brasileira) with electronic beats, croons to the swing of Rio's famous samba-funk and sings softly alongside Afro-Brazilian grooves. Add to the mix her melodic vocal arrangements and a danceable beat and you have something everyone can appreciate. Enzo Torregrossa AKA ZONE, is among the very best modern jazz players in the world. And, lucky for us, the Italian bass player, who has performed alongside masters Dizzie Gillespie and Kenneth Jackson, is back in action. On MADRUGADA, ZONE explores his newly found identity on technology mixing it with trademark live arrangements, cleverly mounding contemporary jazz into dance culture. Breaking new grounds in modern Latin music via songs like PENSO EM MIM (feat. 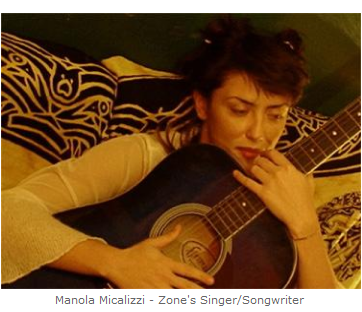 singer/songwriter - MANOLA MICALIZZI), ZONE places himself high next to the peers that inspired him in the first place. "It is with great pleasure we announce this remix contest alongside ccMixter. We hope with your help to continue drawing the (©urve) around new ideas for the delivery of digital content; contribute to the debate of sharing knowledge to enhance awareness of unknown artists, while also offering our token of appreciation and belief of the work carried out by the Creative Commons and similar organizations."